Feel like you are on vacation 365-days a year in this bright and airy CABERNET MODEL located in the AWARD-WINNING, 55 and better, RESORT COMMUNITY of SOLIVITA. 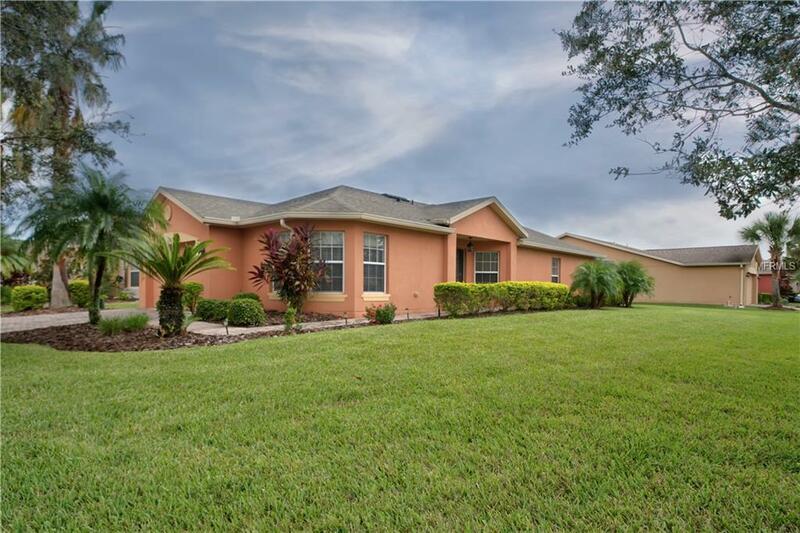 Ideally situated on a CORNER LOT with beautifully refreshed TROPICAL LANDSCAPING, the 1,423SF home features 2-bedrooms, 2-baths and is perfect for use as SECOND/SNOWBIRD HOME or for YEAR ROUND LIVING. A NEW SHINGLE ROOF & RE-SCREENING of the lanai was just completed in 2016. The open living room/dining room concept has had tile installed in 2017 and is ideal for entertaining friends, family and neighbors. The Kitchen has an eat-in nook with BAY WINDOW, closet pantry, added GENIE roll out shelving and more. Be sure to save time to enjoy Florida's outdoor living with the EXTENDED, & SCREENED IN REAR LANAI with a partial water view. This home is a MUST SEE and won't last long! Be sure to check out the virtual tour and schedule your private showing TODAY! Additional Lease Restrictions At Least One Tenant Must Be 55+ Nobody Under 18 Can Reside More Than 30 Days Per Calendar Year And Tenant Must Be Approved By Hoa. Amenities Additional Fees Golf is An Additional Amenity With An Option To Pay As You Play Or Become A Member. Pet Restrictions 3 Commonly Accepted Household Pets Such As Dogs And Cats May Be Kept. No Household Pets Over 100 Pounds Are Permitted. Pets Must Be On A Leash. Listing provided courtesy of Dorn Lane Realty.